It goes without saying that the Elizabethan literature was some of the most awe inspiring arts ever done. William Shakespeare was alive and well during the Elizabethan era and this is the time period in which he produced his most popular works. Likewise, the art in general during this time period took huge strides from its previous years. William Shakespeare was as much of a celebrity as he would be if he were living today where his name is recognizable in almost every household. His plays were primarily drama which was a change from previous plays in former eras of England. In former eras you would have typically found plays and literature that was dominated by religious influence. William Shakespeare generally found his way away from that and often focused on highly controversial topics of the time. For example, he would often focus on the struggle for power during that time. People of the Elizabethan era loved it. The literature during Elizabethan times was not only loved and appreciated by the upper class. In fact, the lower class equally appreciated William Shakespeare’s literature and drama plays. Both classes alike would pile their ways into amphitheaters just to see them. If you look at the former plays and literature prior to the Elizabethan era you will notice that they were heavily religiously influenced. In fact, almost all of them had something to do with morality or mystery. 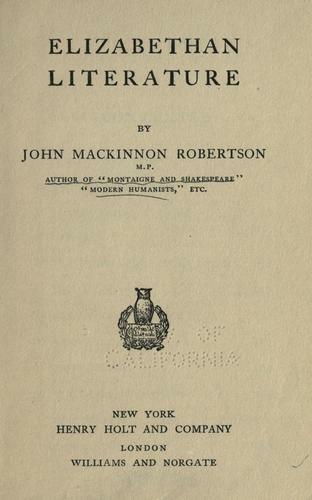 I personally think it was the uniqueness of stories like Macbeth in comparison to former works that made William Shakespeare as popular as he was and still is. While William Shakespeare does get a lot of appreciation in our schools today, and he is worthy of it as well, there were other writers and literature that the people did enjoy. People like Edmund Spenser were writing some very popular literature during this time. You must understand that royalty, including Queen Elizabeth I, also found a lot of interest in the literature work being done. This probably spurred a lot of focus producing high quality work since she was so interested in it. She would frequently have private performances of the plays. Everyone knows you should never disappoint the Queen.